Reintroductions are widely implemented as a means of reestablishing wild populations and genetic parentage methods can be used in concert with these efforts to monitor and evaluate efficacy. In addition to understanding demographic outcomes, reconstructed pedigrees, when combined with phenotypic data, can provide insight into the adaptive potential of reintroduced individuals. 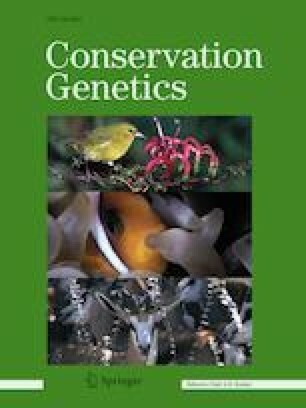 Here, we examined the heritability and evolvability of life-history traits and lifetime reproductive success in two threatened Chinook salmon populations undergoing reintroduction to historical habitats above dams in Oregon, USA, using previously-developed multigenerational genetic pedigrees. All of the examined life-history traits: length-at-maturity, age-at-maturity, and arrival timing to the spawning grounds, and lifetime reproductive success exhibited significant narrow-sense heritabilities and evolvabilities. There was also a detectable influence of parental effects (i.e., paternal or maternal effects) on life-history trait variation, suggesting that in addition to genetic effects, nongenetic inheritance mechanisms are influencing life-history diversity in the populations. Additionally, our analyses revealed evidence of natural selection on the date of reintroduction, although the form and intensity of selection differed between the two populations; the forms of selection also point to the potential for phenotype-environment mismatch under some conditions. Overall, our results suggest that these threatened Chinook salmon populations exhibit significant adaptive potential, a factor that should be important to the longer-term success of recovery efforts. The online version of this article ( https://doi.org/10.1007/s10592-019-01174-4) contains supplementary material, which is available to authorized users. Thanks to the Oregon Department of Fish and Wildlife (ODFW) and U.S. Army Corps of Engineers for the collection of tissue samples, arrival timing, and body length data on reintroduced spring-run Chinook salmon in the Upper Willamette River Basin. We also thank Dave Jacobson for his assistance with microsatellite genotyping on the earlier genetic pedigree study and Mike Ford, Jim Myers, and two anonymous reviewers for their helpful comments on the manuscript.